What Is A Plant-Based Diet (And Should I Be On One)? The phrase “plant-based diet” is being tossed around a lot these days. The skeptical cardiologist never knows what people mean when they use it and so must assume that most of the world is also puzzled by this trendy term. Is A Plant-Based Diet Code For Veganism? For some, a “plant-based diet” (PBD) is what vegans eat. 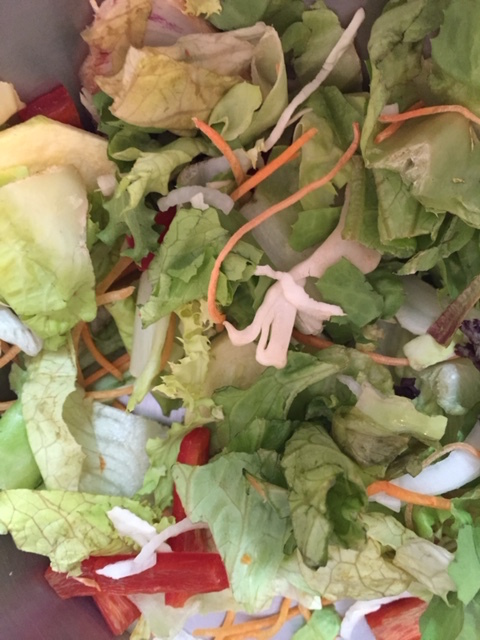 Veganism combines a diet free of animal products, plus a moral philosophy that reject the “commodity status of animals.” Vegans are the strictest of vegetarians, eschewing milk, fish and eggs. You will notice that this cardiologist “excludes all animal products” and that the qualifying phrase “minimally processed” has crept into the definition. The FON definition for a PBD then is similar to our first definition-minimally processed vegan-but allows (at least theoretically) minimal meat, dairy and eggs. The FON Esselstyn/Campbell diets choose to define vegetable oil, including olive oil, as highly refined foods and do not allow any oils. U.S. News and World Report publishes an annual rating of diets based on the opinion of a panel of nationally recognized experts in diet, nutrition, obesity, food psychology, diabetes and heart disease. This definition is radically different from the first two. Notice now that you can have “modest amounts” of meat and dairy, foods which are anathema to vegans. Also, note that “low-fat dairy” is being recommended, a food which (in my opinion) is highly processed and that lean meat is to be preferred and red meat avoided. Readers will recognize that this is the diet I recommend and follow (with slight modifications). On this diet I regularly consume hamburgers, steak, fish and whole egg omelettes. The plant-based diet of vegans or of Forks Over Knives is drastically different from the Mediterranean Diet. For example, olive oil consumption is emphasized in the Mediterranean Diet, whereas the Esselstyn diet featured in FON forbids any oil consumption. The FON/Esselstyn diets are very low in any fats, typically <10%, whereas the Mediterranean Diet is typically 30-35% fat. Esselstyn really doesn’t want you to eat nuts and avocados because he thinks the oil in them is bad for you. This is nuts! I’m handing out nuts to my patients just as they were given to the participants in the PREDIMED randomized trial showing the benefits of the Med diet. Since the term “plant-based diet” apparently means whatever a writer would like it to mean, I have come up with my own definition. If you don’t make it your focus, it is too easy to succumb to all the cookies, donuts, pies, cakes, pretzels, chips, French fries, breakfast bars and other calorie-dense but nutrient-light products that are cheap and readily available. In Dr. P’s Plant-Based Diet© meat, eggs, and full fat dairy are on the table. They are consumed in moderation and they don’t come from plants (i.e. factory farms). Regularly = at least daily. Large amount = 3 to 4 servings daily. Healthy = a highly contentious term and one, like “plant-based” that one can twist to mean whatever one likes. 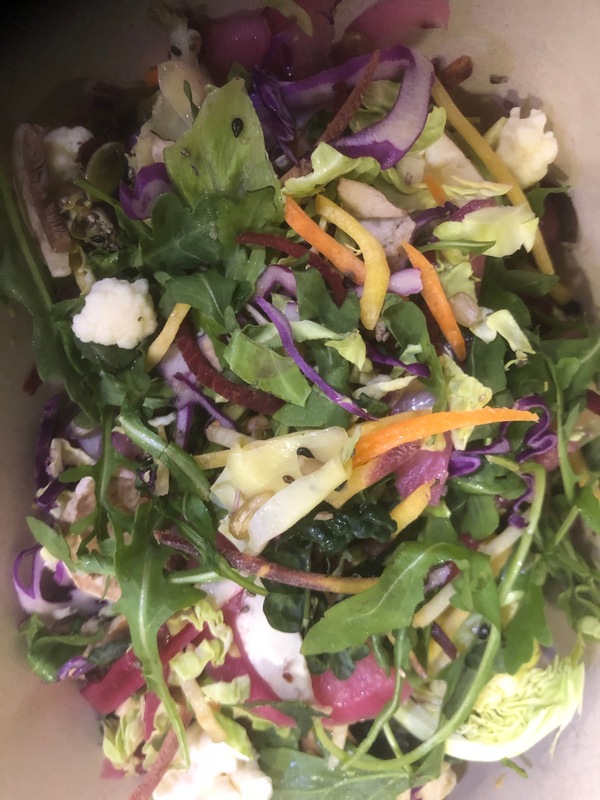 My take on “healthy” can be seen on this blog. I’m not a fan of plant-based margarines, added sugar, whether from a plant or not, should be avoided, and the best way to avoid added sugar is to avoid ultra-processed foods. Ultra-processed foods (formulations of several ingredients which, besides salt, sugar, oils and fats, include food substances not used in culinary preparations, in particular, flavours, colours, sweeteners, emulsifiers and other additives used to imitate sensorial qualities of unprocessed or minimally processed foods and their culinary preparations or to disguise undesirable qualities of the final product). Ultra-processed foods account for 58% of all calories in the US diet, and contribute nearly 90% of all added sugars. 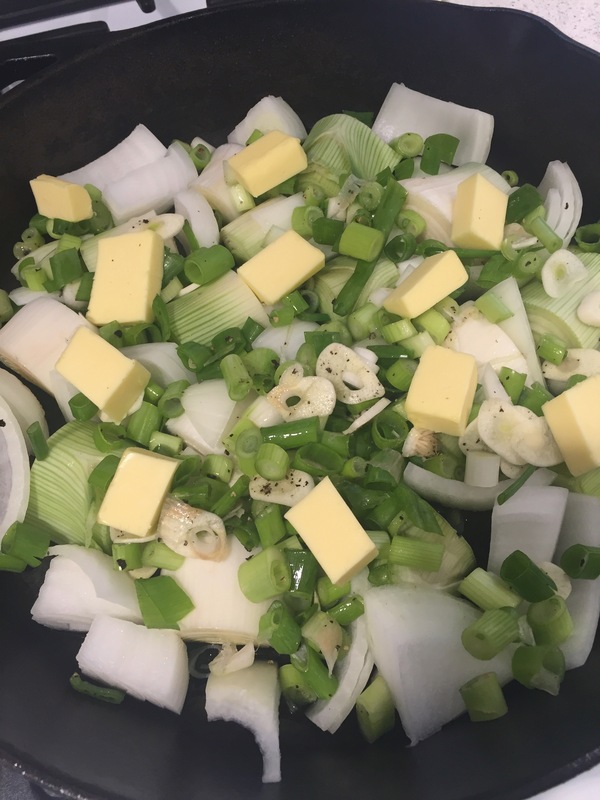 On Dr. P’s Plant-Based Diet© you can add butter to your leeks and green onions. 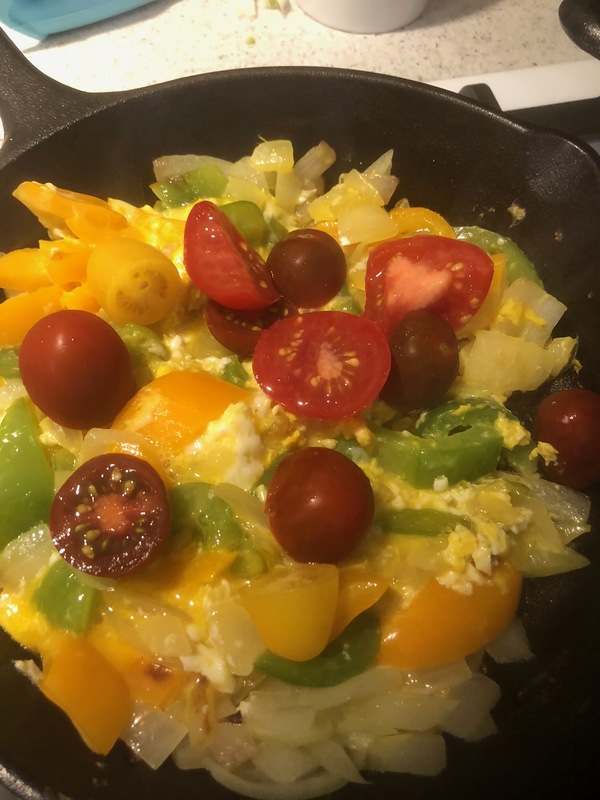 You can add eggs to your onions, tomatoes and peppers And you can eat salads full of lots of cool different plants for lunch. To answer my titular question-if you are using Dr. P’s definition of a plant-based diet then you definitely should be on one. Txorizo Pamplona. This delightful sausage of Navarra in the basque region of Spain is right out in Esselsystn’s plant-based diets. One of the two major physician figures in the movie is Dr. Caldwell Esselstyn, a former surgeon and now a vegan evangelist. You’ll be eating a lot of this on the Esselstyn diet but do not, under any circumstances add a salad dressing containing any oil of any kind to attempt to make it palatable or satiating. Esselstyn, along with T. Colin Campbell (of the completely discredited “China Study” (see here for a summary of critical analyses of that data), Dean Ornish, and Nathan Pritikin, are the leading lights of a dying effort to indict any and all fat as promoting heart disease and all the chronic diseases of western civilization. What? No Fish or Olive Oil? You Cannot Be Serious! 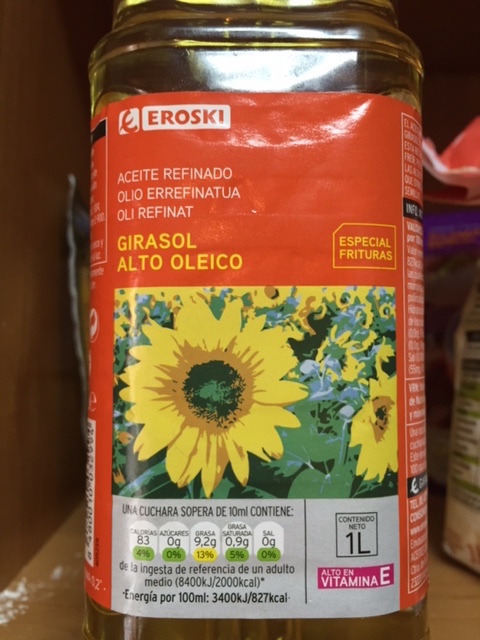 Whatever oil this might be (?sunflower) is right out even though it comes from a plant. According to Esselstyn, using his brilliant ‘logic and intuition” all fats, whether saturated or unsaturated are going to damage the lining of your arteries. The best randomized controlled trials we have for diet to prevent coronary artery disease (CAD, the cause of heart attacks) have shown that supplementing diet with olive oil and nuts substantially lowers CAD. Every observational study in nutrition has demonstrated that fish consumption is associated with lower cardiovascular disease. While working at the Cleveland Clinic, Esselstyn developed an interest in using a plant-based diet to treat patients with advanced CAD. He says he had an epiphany one rainy, depressing day when he was served a slab of bloody roast beef. In addition, 9 of the 18 patients who stuck with the program had previously undergone coronary bypass surgery and two had undergone angioplasty of a coronary artery. 6 of the 24 original patients “could not comply with the program” and were sent back to their regular cardiologists. This gives you an idea of how difficult it was to follow this diet. Esselsstyn’s “data” then consists of following 18 patients, 9 of whom had already undergone coronary bypass surgery, all of whom were taking statin drugs with his diet without any comparison group. This group of 18 did well from a heart standpoint, of course. It is impossible to know if the diet had anything to with their outcome. Most of them had already undergone the “knife” or had had angioplasties that took care of their most worrisome coronary blockages. They were all taking statin drugs . They were all nonsmokers and they were all highly motivated to take good care of themselves in all lifestyle choices. Any patients who were not intensely motivated to radically change their diet would have avoided this crazy “study” like the plague. This “study” is merely a collection of 18 anecdotes, none of which would be worthy of publication in any current legitimate medical journal. Three of the 18 patients have died, one from pulmonary fibrosis, one presumably from a GI bleed, and one from depression. 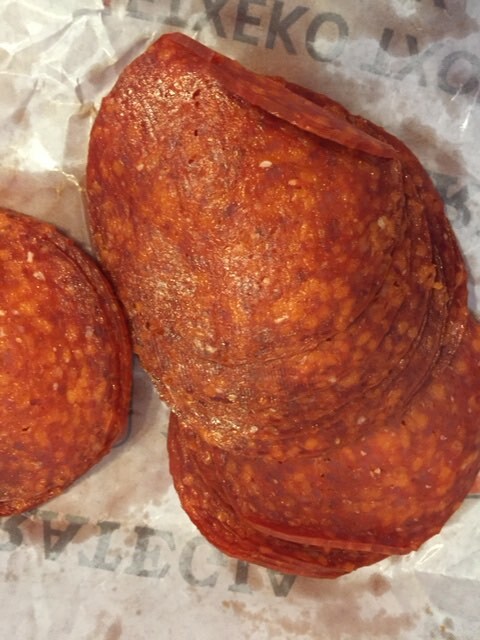 Could these deaths be related to the diet in some way? We can’t know because there is no comparison group. Should Anyone Eat Ultra-low Fat Diets? It is possible that the type of vegan/ultra-low fat diets espoused by Esselstyn and his ilk have some beneficial effects on preventing CAD, but there is nothing in the scientific literature which proves it. Scientific reviews of the effect of diet on CAD in the last 5 years have concluded that the evidence is best for the Mediterranean diet, which emphasizes fish consumption, olive oil and nuts. These reviews dismiss ultra-low fat diets because of a lack of evidence supporting them, and an inability to get people to follow them. If you have ethical or philosophic reasons for only eating things with no mother or face, then by all means follow your conscience. Too often, however, I find that those who choose veganism for philosophic reasons want to find health reasons to support their diet and mix the bad science and philosophy into a bland evangelical stew they recommend for all. I remain, therefore, in favor of cioppino, paella, butter and all the glories of the omnivore that make life so rich. For an amazingly complete (and surprisingly entertaining) dissection of the scientific inaccuracies of “Forks Over Knives” with humorous overtones, I recommend Denise Minger’s post “Forks Over Knives: Is the Science Legit? (A Review and Critique). Be prepared for lots of graphs!